Tender, succulent, fully-cooked, Texas-smoked, Beef Tenderloin. Simply the best! 3 Flavors of Quick Cookin’ Beans and Rice. Any flavor cooks up in 20 minutes and is the most requested side dish with this tenderloin. Two 10-oz. bags. 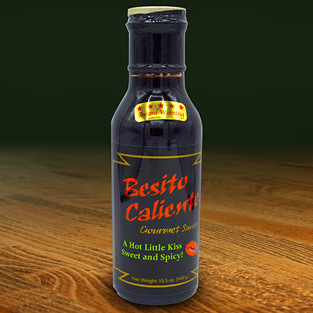 Besito Caliente – A little bit sweet, a little bit hot — it goes great with this tenderloin! 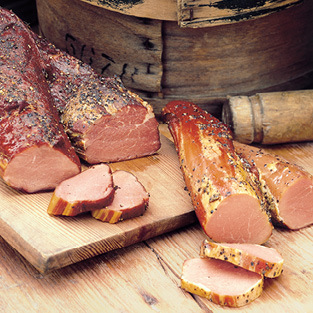 Texas Sweet & Hot Cranberry Relish – A great add-on for a delicious tenderloin! 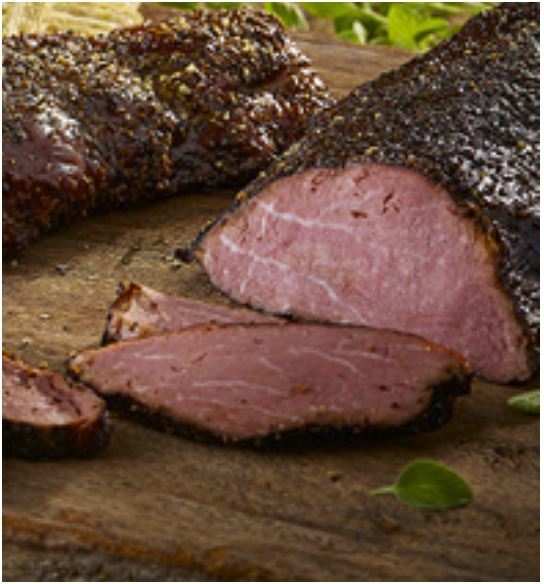 The fully-cooked, Beef Tenderloin is one of our most tender and succulent meats. 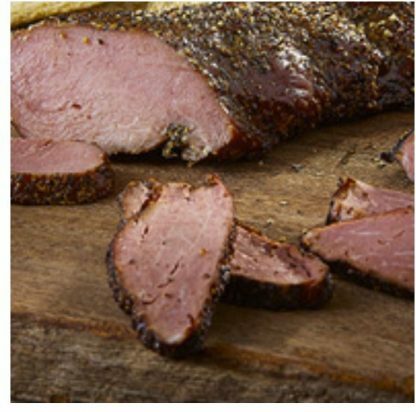 It is made the old-fashioned way; using the best cuts of meat, hand-cured, peppered, and slowly smoked over mesquite embers. 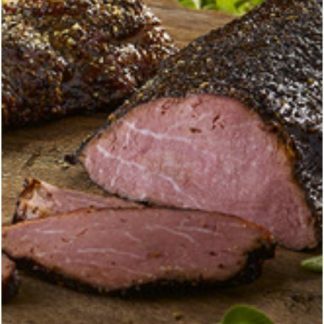 The Beef Tenderloin is moist, flavorful and delicious. 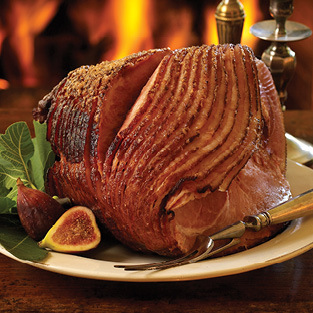 Just slice, serve and enjoy. 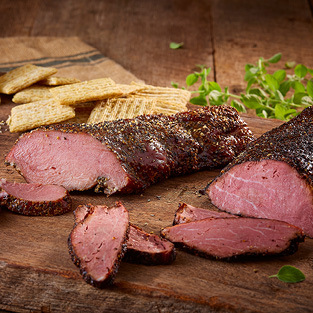 Slow-smoking over mesquite embers is just one of the company’s secrets to the great Texas taste you’ll discover in every bite. 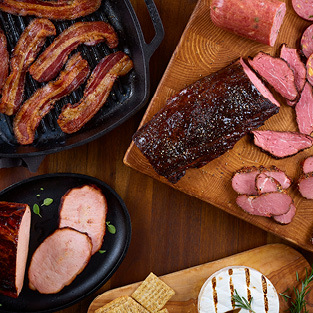 The family owned business is now operated by fourth generation Texans and they’ve perfected the art of cooking authentic Texas barbecue. They never rush the process because they know it takes time for the mesquite smoke to naturally tenderize the meat while adding a rich flavor profile. 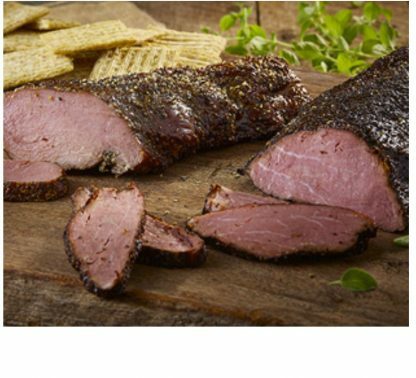 Texans Love the Mesquite Tree: The Mesquite tree is native to Texas and adds a distinct and delicious flavor to meats, poultry and fish. Way back when, cowboys on the Texas prairie discovered their food tasted great when they used the mesquite branches for their campfires and cooking. 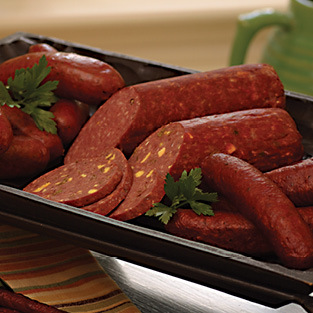 Add-Ons: You may want to add some sides and condiments to complement your tenderloin. Adding the items on at this point will save you in price and in shipping! 3 Flavors of Quick Cookin’ Beans and Rice. Any flavor cooks up in 20 minutes and is the most requested side dish with beef tenderloin. 10-oz. bags. 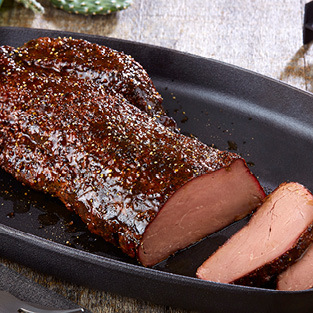 Texas Sweet Hot Cranberry Relish – A great add-on for a delicious tenderloin! If the seals are loose open the package, re-wrap, and refrigerate or freeze.